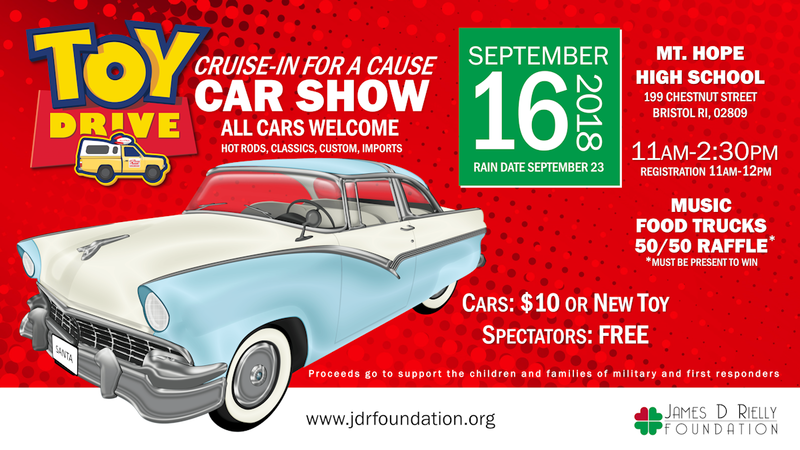 We will have food trucks there serving up hamburgers, hot dogs, Italian sausage, ice cream and more and there will also be a cruise at the conclusion of the event through Bristol’s beautiful Colt State Park alongside Narragansett Bay. Come and enjoy the September weather and support a great cause. Bring the family and spend some time after the event exploring the quaint shops of Bristol. Can’t attend, but would like to donate? No contribution is too small. Your gift is 100% tax deductible and will help bring unconditional love, hope, and joy to needy children and families.